Locals were stunned to see snow on the sand dunes in the Sahara Desert today after it snowed in a small Algerian town for the second time this year. 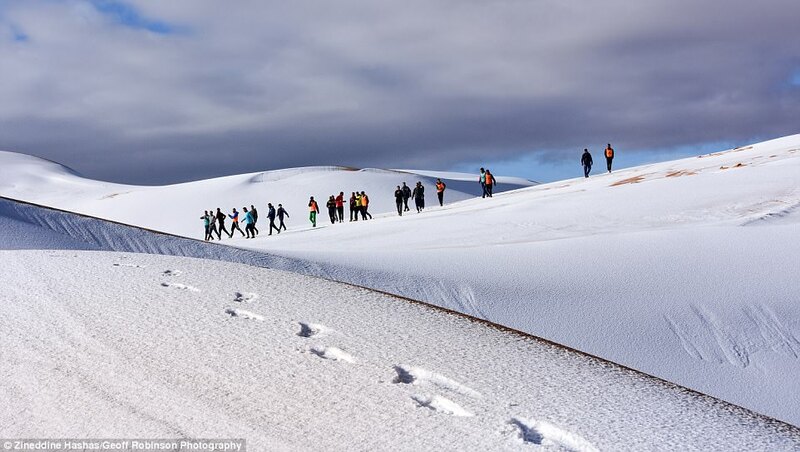 Children could be seen playing on the snow-covered sand dunes just outside the town, while others posed on the snow to document the rare event. Snow was last seen in the town of Ain Sefra on February 18, 1979.